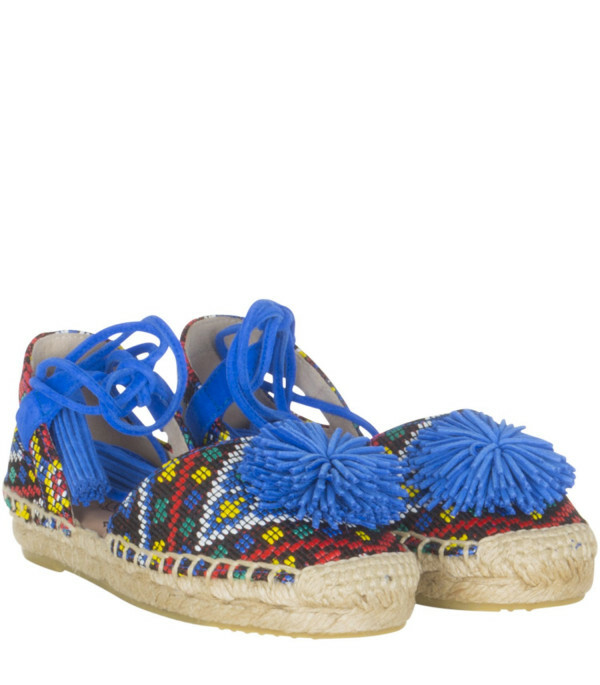 Color: White - Description: White nappa sandals with colorful rafia pompon and laces around the ankle. - Details: Nappa. Rafia. 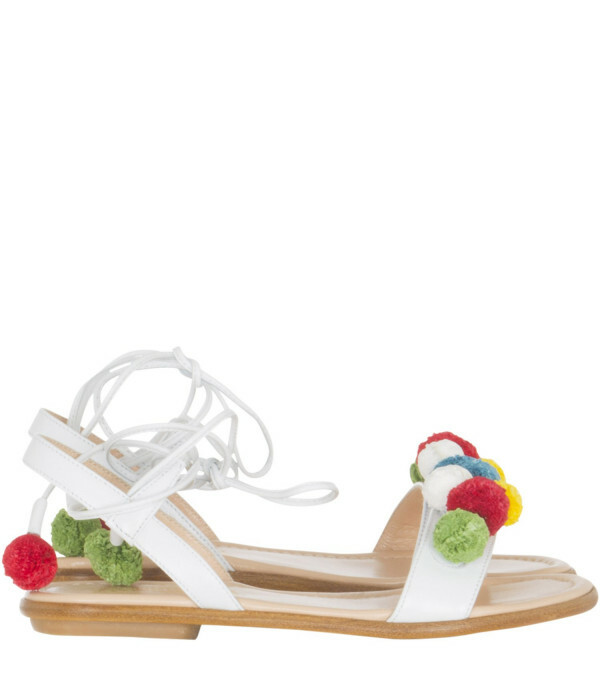 Description: White nappa sandals with colorful rafia pompon and laces around the ankle. “Like mother, like daughter”, this is the claim of Aquazzura Mini, a shoes’ collection dedicated to young girls, that inspire theirself to women’s collections, signed by Edgardo Osorio. Born in Colombia and raised between Miami and London, Aquazzura’s creator transforms his eye for glamour, passion for modern design, and hand for highluxe craft into desirable footwear. Created in Florence, Italy, in 2011, and inspired by the tradition of luxury craftsmanship, the line mixes a refined European aesthetic with modern American sensibility and Latin flair.